The town of Thaxted grew around a Saxon settlement along the old Roman road and boasts a magnificent 14th century church, a half-timbered Guildhall and a restored windmill. Building work on the Church of St John the Baptist began in 1340 and it took 170 years to complete. Work on the Guildhall commenced in 1390 and was completed by the turn of the century. The windmill, which was built in 1804 by John Webb, a local farmer, was in use of 100 years and now houses a small museum. Thaxted is famous not least of all for its Morris Ring and hosts a Morris weekend each year. This takes place the first weekend after the Spring Bank Holiday when hundreds of dancers meet to entertain the town and surrounding villages. 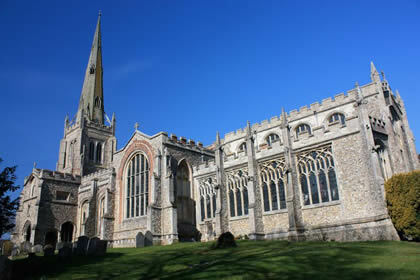 The annual Thaxted Music Festival takes place in June/July and is held in the spectacular setting of the Church. 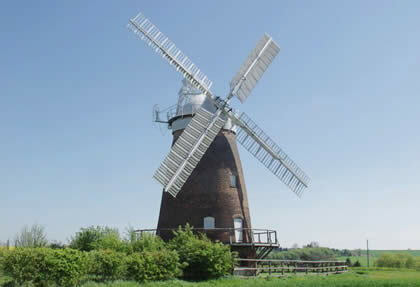 Thaxted and the surrounding area is ideal for fishing, walking and cycling. Cycle/walking maps and information on local fisheries can be supplied upon request. 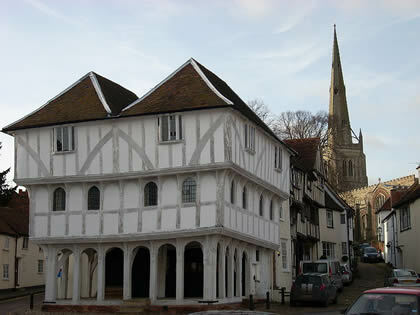 Please visit www.thaxted.co.uk for an up-to-date timetable of events and links to various organisations within Thaxted.